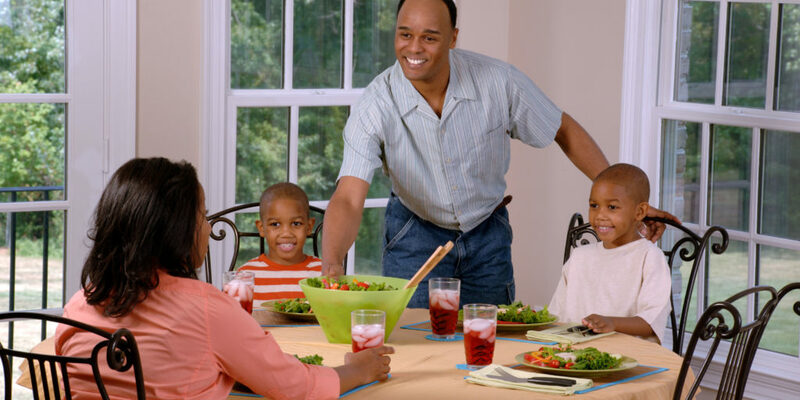 Sitting down to eat as a family is one of the greatest gifts you can give your child. It’s a time for adults to role-model manners such as saying “Please,” “Thank you,” “May I have the…” “This is delicious!” “You worked hard to make a great meal for our family!” and any other nice words we can think to say. For children it’s a time where they learn to sit, take turns talking, learn to share, learn to wait and many other skills. Heat oven to 350°F. Spray bottom and sides of a 13x9x2-inch baking dish with cooking spray.